China may be “the workshop of the world“, but the entire Asia Pacific region is also empowering Australian entrepreneurs and businesses – and it’s all about importing. Joining China among Australia’s top import markets are Japan, Korea, Singapore, India, Thailand and Malaysia – and more. Together, they’re a reliable key to long term success by helping you and your business to reduce costs and prices and superpower profits. But although Australia’s proximity to this flourishing region is a major benefit and a great source of opportunity, the world of importing is also fraught with pitfalls, challenges and risks. The alternative to importing from Asia is that the materials, products and labour are generally much cheaper over there than they are in Australia. Not only that, across the entire region, the range of products, innovation and manufacturing capacity is vast. And Australia has a head-start over other major markets like the US and Europe due to our geographical proximity to the region, which means major advantages in transportation costs and the turnaround between ordering and receipt of goods. But before you proceed, ask yourself this simple question: Am I really sure importing makes sense for my business? Can I get the product much faster or just as cheaply in Australia? Do I know how economies of scale really work and what my logistics cost per unit is? If the answer to any of these crucial questions is “I don’t know”, then are you really sure importing from Asia is for you? So before pressing ‘go’ on importing from Asia, you need to know your stuff. First, find the Asia Pacific import market that suits your needs best. The various countries all have their specialties, strengths and weaknesses, and a major risk is that you select a developing nation and fail to take into consideration things like insecure governments and political instability. China and India are highly populated with vast export markets, but more established countries like Japan and Korea can still offer better quality in many areas – even if you might have to pay a little more. Picking your Asian import market is just the beginning, because the risk remains high if you haven’t planned meticulously. 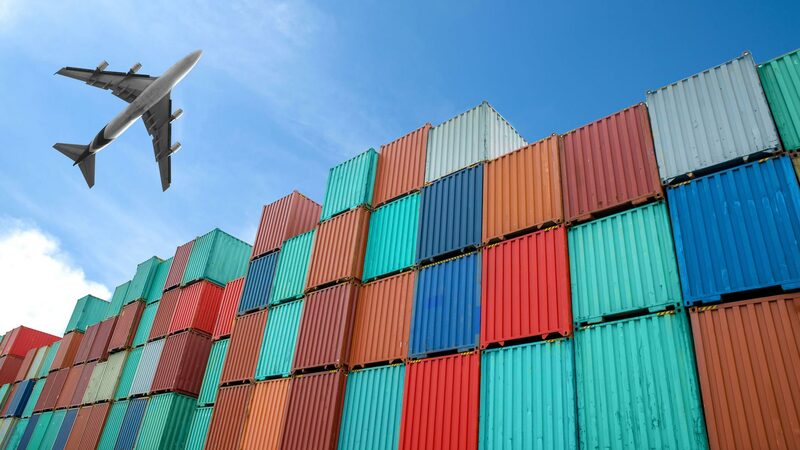 For instance, look into whether Australia has free trade agreements in place, or whether our government has imposed any sanctions or restrictions when it comes to importing the goods you need. Consider recruiting the help of an import expert or broker, and whether they have special knowledge about the particular Asian market you’re going to deal with, how to minimise any potential customs delays, and which transportation methods are most suitable for your needs and budget. Know the special rules about getting imported goods into Australia (especially if it’s alcohol, cars, tobacco or fuel), whether you need a permit or an exemption, and whether you need to make certain declarations. And finally, never forget those two magic words when importing: quality control. Always demand samples, and then only accept the goods themselves if they live up to what you’ve agreed. You might be in a hurry to go to market, or you’re simply excited, but never forget to dot every ‘i’ and cross every ‘t’. Many Asian import vendors talk a great story, but many are simply trying to get your signature on a binding agreement. But it’s not just that: even with all the best will in the world, if you’re not scrupulously specific about the specifications of your product, you’re the only one who will be left with something you don’t want in the end – which could mean extra costs and delays. The lesson? : Assume nothing and ask your import partner to confirm they understand exactly what you’re looking for and what the process is to rectify issues as they arise. That includes having a contingency plan in your pocket, just in case you get a long way down the road with a supplier before realising you need to switch to another vendor or market at the last minute in order to not derail your entire project. Never forget that the very reason you’re getting into importing from Asia is that it is the more affordable option that keeps costs down and boosts profits. But apart from buying the goods themselves, there are all sorts of import costs you need to think about including freight services, insurance, charges, fees, duties, tariffs and taxes. A commonly overlooked or even hidden cost of importing is the fluctuation between different types of currency. Many smaller Asian currencies are more volatile than the ones we’re used to dealing with, so consider negotiating into the contract that all transactions will be done in AUD or USD. Although convenient, major banks like the CBA charge not only higher fees, but CBA exchange rates simply do not compare to the much better deals offered by many FX specialists.So when transferring your hard-earned money to and from Australia, make sure you don’t unnecessarily bleed cash you might otherwise have easily saved. So while there are plenty of obvious ‘pros’ of importing from the fast-growing and highly beneficial Asia Pacific region, it’s only underestimating or ignoring the various challenges that can threaten to derail your entire project. So have a plan. Seek advice and support. Be prepared to deal with customs, the government, import and FX specialists, insurers and carriers. Do your research. Know your stuff. Dot every ‘t’. And reap the major benefits of importing from Asia today. Should You Move Your Startup to Silicon Valley? How to Rebuild Your Small Business Reputation After a Reputation Crisis?